In 1970s my parent went on a business trip to Warsaw and took me, too. We stayed at Warszawa Hotel. I don`t remember much apart from a big sticker with the hotel`s logo which I got from the workers. I put it an a board board above my bed and it remained there for years. I can say the place is close to my heart. Prudential is a notable skyscraper in Warsaw, Poland. Built between 1931 and 1933 in the Art Deco style, it served as a base for the British Prudential Insurance Company. 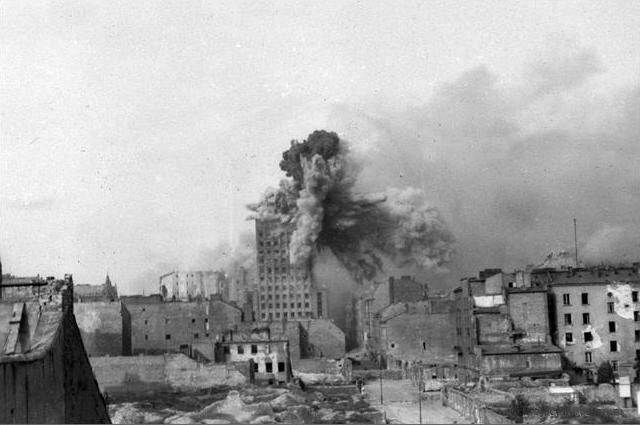 It is located on Warsaw Uprising Square along Świętokrzyska Street. At the time of construction it was the second tallest European skyscraper with eighteen stories (66 m). Built using a steel framework it was the tallest building in Warsaw until the Palace of Culture and Science was constructed. 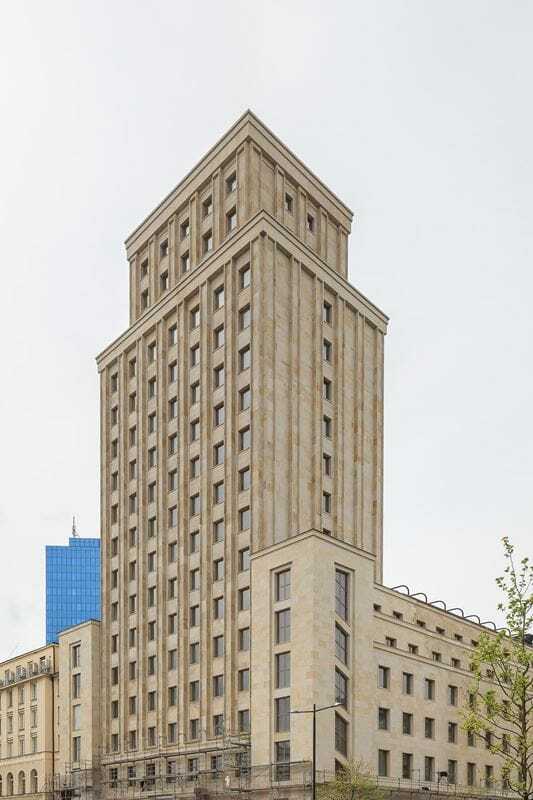 The building, designed by Marcin Weinfeld, included office space on lower stories and luxurious apartments further up. The steel framework, innovative at the time, was designed by Stefan Bryła and Wenczesław Poniż. Construction started in 1931 and used up over 2 million bricks, 2 thousand tonnes of concrete and 1500 tonnes of steel. 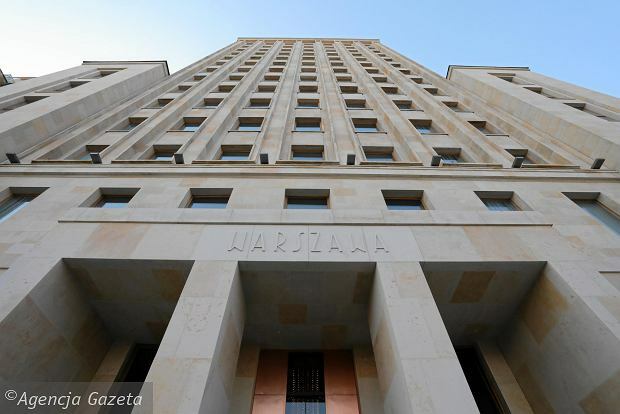 In 1936 a large antenna was constructed on the roof by professor Janusz Groszkowski, who started the first television broadcasts in Europe from that facility. 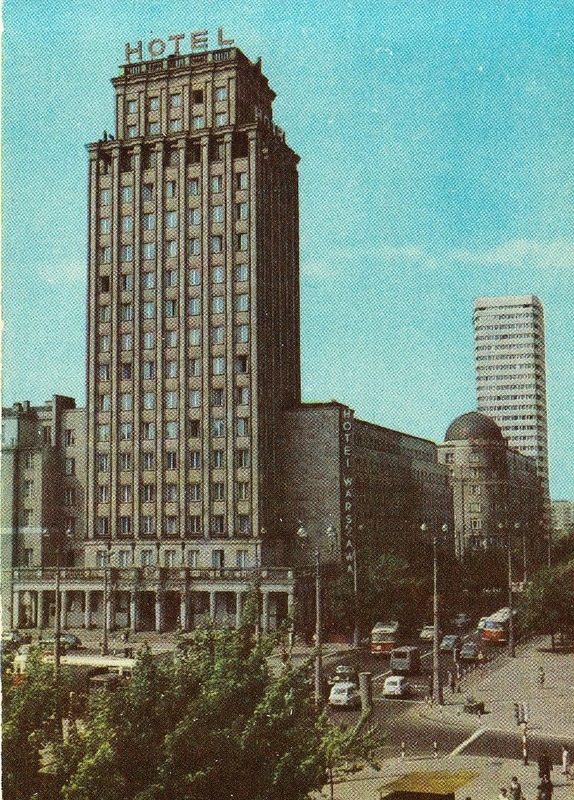 The Prudential building soon became a symbol of modern Warsaw and was featured in numerous contemporary films and advertisements. 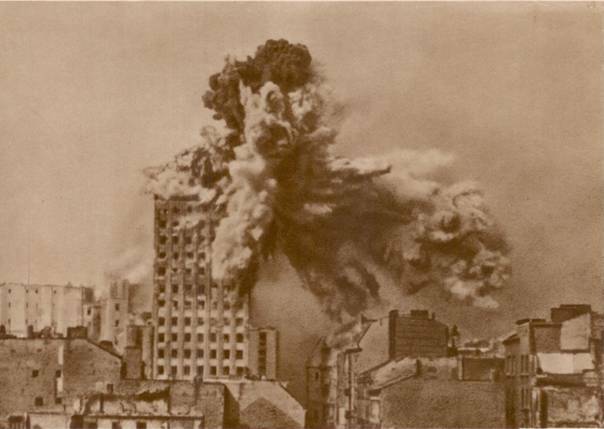 The Prudential was heavily damaged during World War II, particularly during the Warsaw Uprising when it was hit by approximately 1,000 artillery shells, including a single hit by 2-tonne Karl-Gerät mortar shell, leaving only the steel framework. The artillery damage bent the construction sideways, but it survived the war and was featured on numerous anti-war posters. The building was rebuilt after the war as a hotel, and its style was changed from early modern to socialist realism. 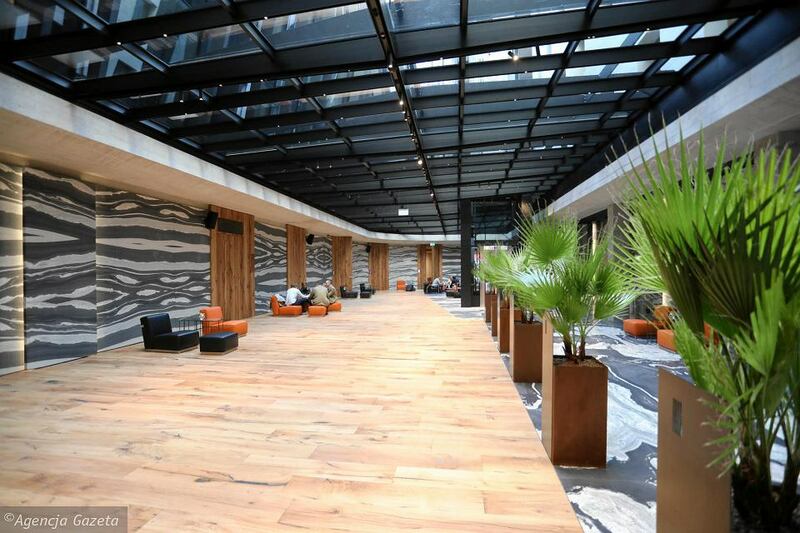 The author of the new design was again Marcin Weinfeld, who adapted the building to its new role as a hotel. 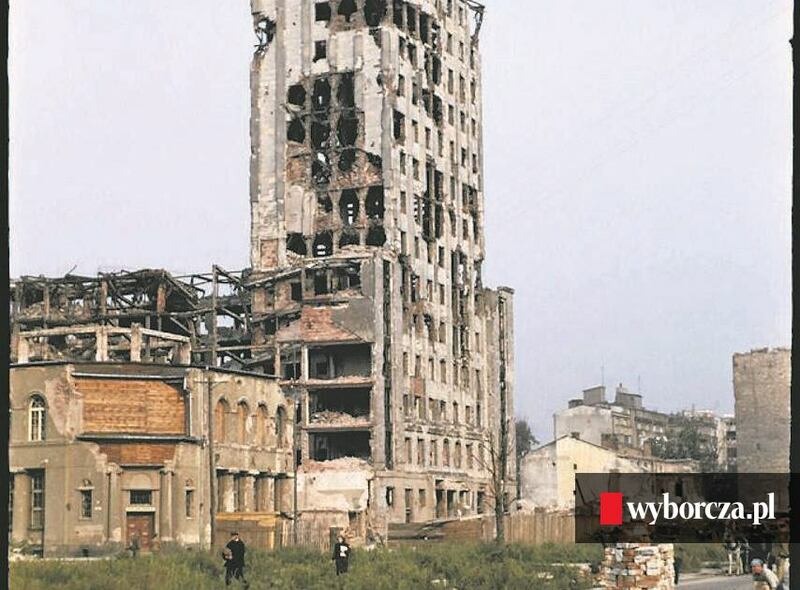 The "Hotel Warszawa" was opened in 1954 and included 375 beds, a large restaurant, a café and a night club. Since 2010, the building has been closed down for refurbishment. The façade is to be returned to its pre-war art deco form, while the interior is to house a luxurious four-star hotel.